We always fuss around a pregnant woman and her needs, however do we give enough thought to what goes on in her husband’s mind? It is his first time too! Frankly, I never gave this a thought when I was pregnant but when my friend mentioned it with concern in his voice; I suddenly realized the gravity of the situation. Atul my best buddy and a family friend moved to Delhi around 10 months back. It was a great opportunity and he didn’t want to miss it. We were all super thrilled about the big promotion and the great opportunity that he got. Things were sailing smooth, when one day Atul’s wife Priya called up informing that they were pregnant. As Delhi was a new city, it was decided that she would deliver back in Pune where there are enough people to support and help. Knowing and trusting doctors also was an important reason for this decision. We were eagerly awaiting the due date and preparations were underway to help the new mom and the baby at her parent’s home, however trouble started when in the seventh month, Priya was advised against any kind of travel. There was also a fear that she might be asked to take complete bedrest. I decided to help him in any way I could and the first important task was to help him zero in on a hospital that we all can trust. I did a quick search online and enquired around for some suggestions. The one name that kept popping up was Sitaram Bhartia Institute of Science and Research. Their facilities and track record was amazing with 88% of first birth, low risk moms having a normal delivery in 2016! They had a lot of helpful content and programs like Antenatal classes, Infant care workshop etc. for parents to be. Looking around, I found their doctors profiles and experience and was quiet impressed with it. It definitely seemed as if the best gynecologist in Delhi could be found here. By this time; I could sense all the fear melting away! I quickly messaged Atul with the details. He called back in 15 minutes, thanking me for relieving him of all his fears. As a dad to be, he found great advice on how to support his wife better through their various blog posts! Atul and his family were over the moon and I was happy that I could be of some help to my best buddy! Their experience so far has been amazing with quality care, supportive staff and highly qualified doctors. The personal care and attention to their queries has made the couple well-prepared for the new arrival. Go with her for all the check-up’s and ultra-sound. You will know first-hand about the condition and care to be taken. Pregnancy leads to a lot of hormonal changes; hence your wife might feel lethargic or be restless. Understand her and be supportive of her. Before meeting the doctor for the appointment talk about your queries or doubts with your wife, ask her to tell you her fears or worries. This will help both be on the same page and act as a mental support to your wife. Attend antenatal classes with your wife to understand the changes she undergoes. These classes will also help you be better prepared on baby’s arrival. Help your wife exercise. Go for walks with her. If she is feeling lethargic, motivate her to walk for atleast 30 minutes a day. If you are travelling for work or have long hours away from home, make it a point to call her regularly. Message to check if she is eating small meals in between. These things will help her build a routine and not skip meals. Talk to experienced doctors to understand how you can make small lifestyle changes to try for normal deliveries. I found this information extremely helpful, what about you? How did your husband help you while you were pregnant? Were you in a situation where pregnancy overwhelmed you? Do share in comments below. Very well written and thought out post for the husband and Father-to-be, Neha. Useful and on point. these are great pointers, and I agreed that pregnancy is a delicate stage of any woman’s life and when your husband supports you, it feels little easier. my husband is so supportive and he has supported me so well during my both pregnancy. thanks a lot sharing this wonderful information. Partner’s support is very important during pregnancy. It gives a comfort feeling to the mom to be. I am also lucky to have a supportive partner who helped me sail through the journey. Being pregnant it means both parents are. Both must share the responsibilities. Writtn well..
That’s really important for a husband to take care of Pregnant wife, more so if it is a nuclear family. Sitaram Bhartia has some good antenatal classes, which can actually help to-be-dad to gain the knowledge and care his wife. 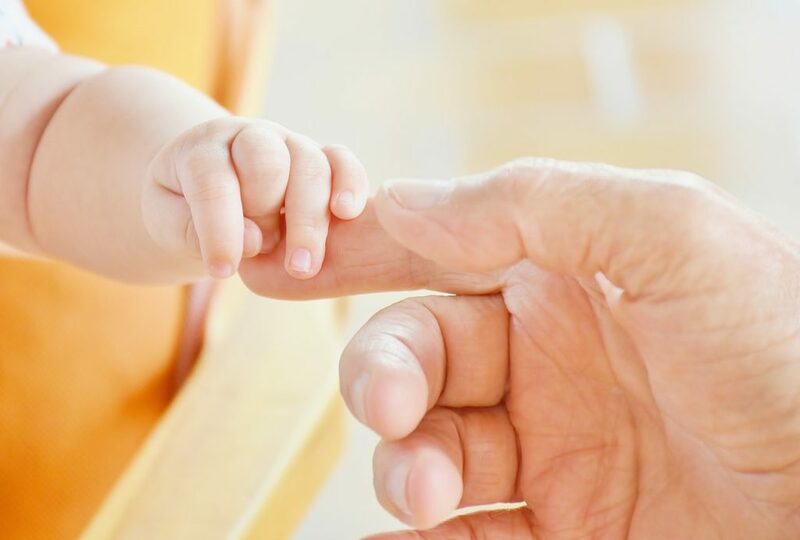 These are such great tips not just for dads-to-be but even the friends of those who are expecting. It can all be overwhelming suddenly, but when there is enough information and people around, things get better! I want all the husbands to read this. Pregnancy is such a stage where husbands too have to give their best. I am sharing this with my husband for sure. This is a must read post for all to the dads to be. Sitaram has efficient doctors and their antenatal classes are very useful! Oh this is a must read for all expecting dads. Sometimes just a little help does wonders. Great tip for to-be dads. I hope more men get to read this. This is really a useful for new dads to be. I’ll share this post to one of my colleagues whose wife is just 2 months pregnant. Really informative post. All points are indeed true here. Never thought of this way too.And these tips are surely helpful for women! i feel very blessed that my husband followed pretty much all the pointers you have shared here. It means a lot to have someone care for you all the time! I am sure this will be a helpful post for dads to be. Great pointers Neha. Its good that mostly dad these days are hands-on dads and support their wives in everything. A MUST READ for all husbands. Wives need a lot of mental & emotional support during pregnancy and with keeping all these points in check, husbands can ensure expecting moms are relaxed and feeling good. Someone has finally realised the mental stress dads-to-be go through when pregnant. 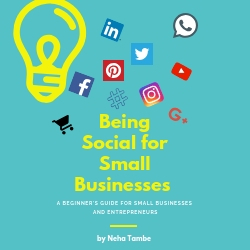 It was fun and informative reading your post. Thanks for jotting down these points, will surely share it with my friends who are pregnant! Glad he had you to talk too and get the required support. It makes us realize that men also need a good amount of support and help in these times. 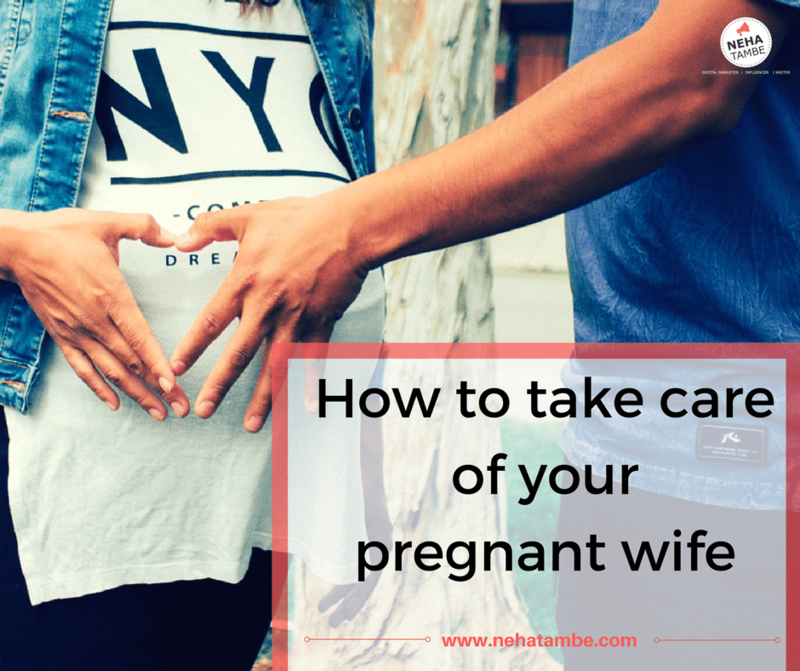 This is such a sweet post Neha.I was very blessed that my hubby was kind and followed all these little tips to make pregnancy memorable and comfortable. Can totally relate to it. Didn’t have my husband by my side during delivery. Great informative post.